LLOYD COLIN BEREZAY passed away peacefully in Raymond, Alberta on May 1, 2018 at the age of 93 years. Lloyd is survived by his children Shirley (Albert) Gruninger of Del Bonita, AB; son-in-law Russell (Patsy deceased) Storey of Laurel, MT, daughter-in-law Janice (Don deceased) Berezay of Choteau, MT; Monty Berezay of Lethbridge, AB, Mick Berezay of Coutts, AB, Robert (Susan) Berezay of Coutts, AB, Patti Lamb of Barnwell, AB, sister Marie Watson of Billings, MT, sister-in-law Irene Berezay of Astoria, OR , sister-in-law Enola Berezay of Cardston, AB, as well as 24 grandchildren and 48 great grandchildren. He was predeceased by his parents Eugene and Edna Berezay, wives Grace, June, and Lorraine Berezay, brothers Jack, Glen, Vern, Melvin, Dean, and Ray Berezay; son Don Berezay, daughter Patsy Storey, and great grandson Clay Card. Lloyd was born May 20, 1924 in Cardston, Alberta to Eugene and Edna Berezay, and grew up in Whiskey Gap, Alberta. Lloyd spent most of his life riding and ranching in Montana. In his early years, Lloyd loved to rodeo. Lloyd served as Glacier County Deputy Sherriff from 1975 to 1986. Lloyd’s family and church service were most important to him. Lloyd knew no stranger. The Funeral Service will be held at the Church of Jesus Christ of Latter-day Saints Garden Place Chapel, Magrath, AB on Monday, May 7, 2018 at 11:00 am. Friends may meet the family at the church from 10:00 – 10:45 am prior to the service. Interment in the Cut Bank, MT Cemetery at 2:30 pm. If attending the Interment, please remember your passport. 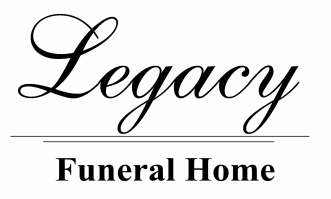 Condolences may be sent to: www.legacyfuneralhome.ca ​ Condolences may be sent by CLICKING HERE.